The Toyota Gazoo Racing World Rally Team followed its win in Finland with a second straight victory in the 2018 World Rally Championship last weekend in Germany. 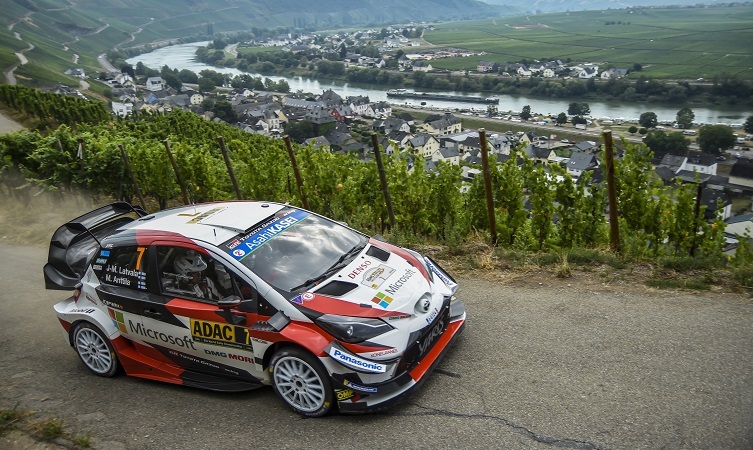 Officially known as Rallye Deutschland, the ninth event of the calendar contained three rallies in one: twisting roads through the Mosel vineyards, the notoriously tough Baumholder military area, and the fast country lanes of Saarland. The differing characteristics of these roads and changeable weather conditions made car set-up and tyre choice difficult. Rallye Deutschland kicked off positively. 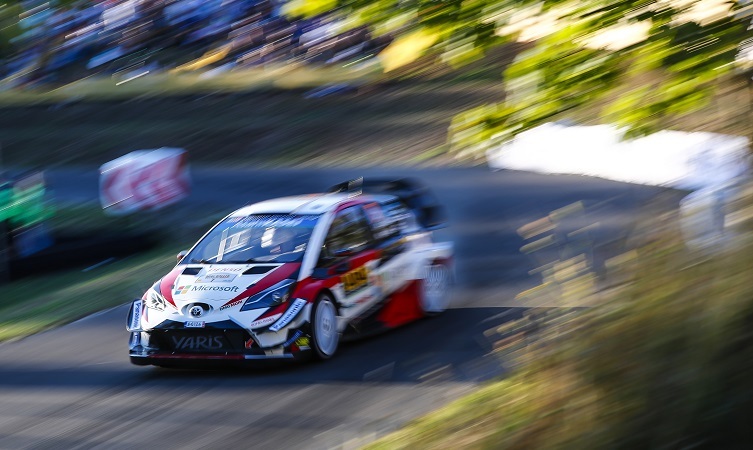 Following the morning’s shakedown, where the Yaris WRC set the first and second fastest times, the rally began with a super special stage in St Wendel, where Ott Tänak set the best time to claim the early lead. Kaj Lindström (sporting director): “It is good to get the rally underway with the fastest time and no big issues. Earlier, we had a promising shakedown with the first and second best times. Of course, the results in shakedown never count for anything at the end of rally, but it is good to see that car is performing okay and that the drivers are all happy. Tänak held a 12.3-second lead at the end of the first full day. Fresh from his recent win in Finland, Tänak was fastest on five of the six stages on what is the first asphalt event that the car has led this season. Tommi Mäkinen (team principal): “It is absolutely brilliant to be in this position, with six fastest stage times out of seven so far. Ott seems to have absolute confidence with the car and is able to make it look very easy, even though it is not. This great performance on asphalt is the product of all the hard work that the whole team has done since the beginning of last season. Tänak continued to lead the rally with just three stages remaining, his advantage now standing at 43.7 seconds after enjoying a clean run through the day. 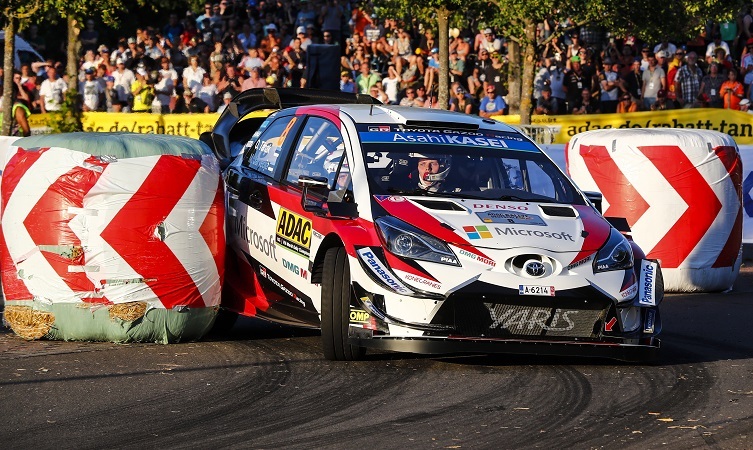 Fellow Yaris WRC driver Jari-Matti Latvala was third overall and in a close fight for second place, while Esapekka Lappi was not far behind in fifth. Ott Tänak (driver car #8): “Obviously it has been another good day. This morning it wasn’t easy because I had to get used to driving on different types of road in this car for the first time, and I needed to push hard because it was a really close fight. In the afternoon my feeling was much better and I was enjoying it a lot. 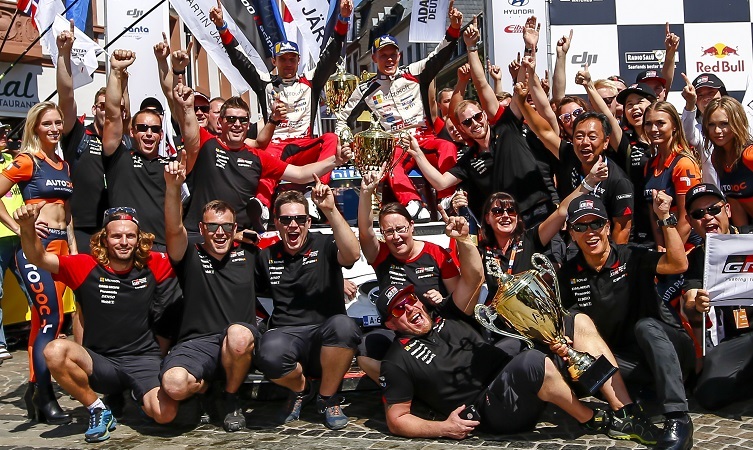 The Toyota Gazoo Racing World Rally Team celebrates its second straight victory with a win in Germany – also the maiden win on asphalt for the Yaris WRC. 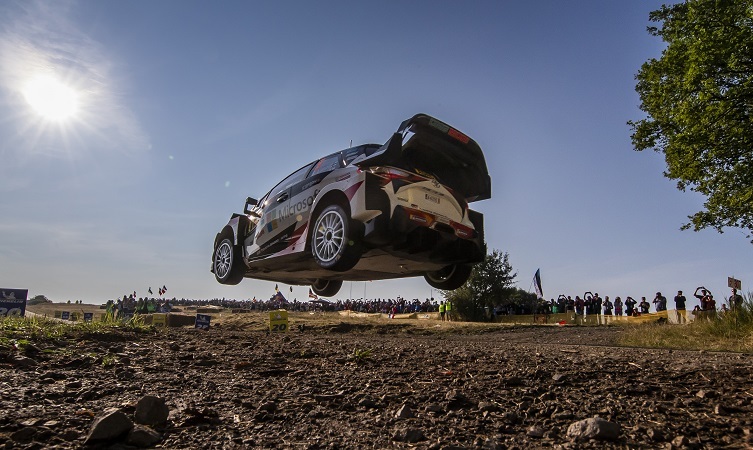 As in Finland, the team achieved a double podium result, with Lappi finishing in third place to help Toyota climb to second in the manufacturers’ championship and within 13 points of the overall lead. 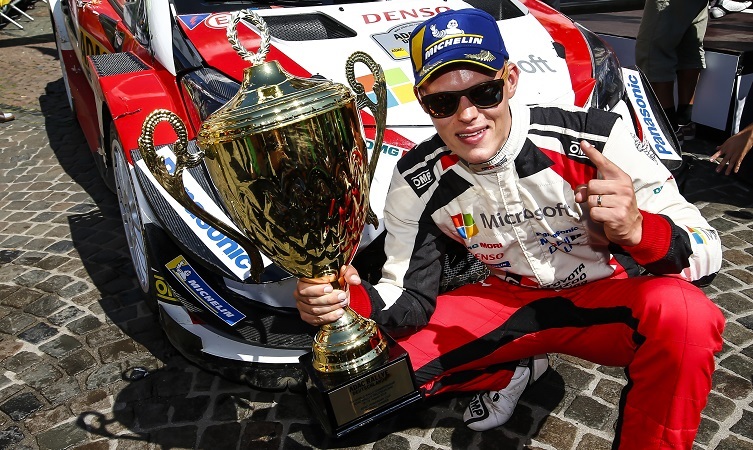 Ott Tänak: “This was definitely the hardest victory I have ever had. For the majority of the weekend it was a really close fight and I had to push so hard. On Friday in the vineyards I felt very comfortable with the car. On Saturday morning I did not feel so confident, but the team really improved the car in service. The tenth round of the 2018 World Rally Championship is Rally Turkey, which takes place on 13-16 September. Keep it going Toyota……………got to beat Hyundai! Thank you for the support, Shearnden!